This is one of our hip hop style necklaces that was never finished. 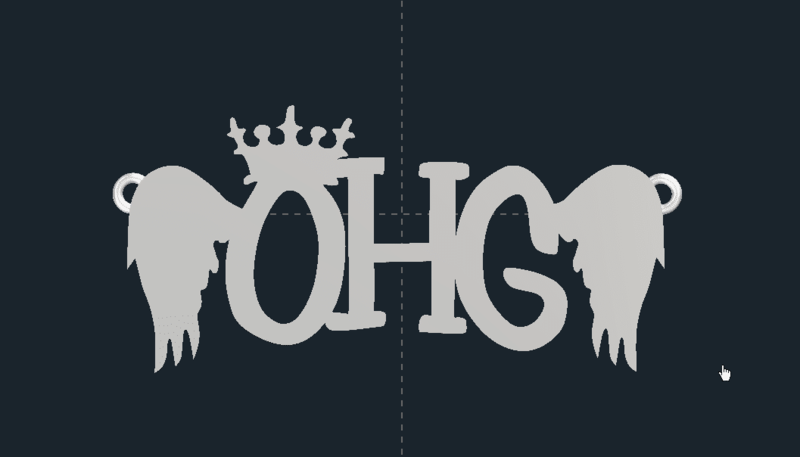 It would have gotten some detail on the crown and wings, but this is meant to show you that no matter how crazy your idea is, I can turn it in to a beautiful custom hip hop style necklaces or piece of stunning fashion statement jewelry. Do you have an idea for custom hip hop style necklaces! Please browse our portfolio for inspiration? If you can dream it, I can make it! I can make custom hip hop style necklaces in single pieces up to 3.25 inches wide or tall in Bronze, Copper, Brass, Sterling or Argentium Silver, white, yellow, or rose Gold, Palladium or Platinum. Anything larger than that has to be done in 2 pieces and then soldered together. We can also use a wide variety of stones to meet any budget as well if the design call for it. Click HERE for another custom jewelry creations you won’t find anywhere else. Click HERE to learn more about custom jewelry, to see our portfolio, or to contact us about hip hop style necklaces. It can cost less than you think to have your very own custom necklace made just for you. Why hassle with the retail stores for boring and overpriced hip hop pendants?